Space Trophy winner Dr. Charles Elachi and his wife, Valerie, left, receive congratulations from Texas Congressman John Culberson as they arrive at the Hyatt Regency for the Rotary Space Gala. 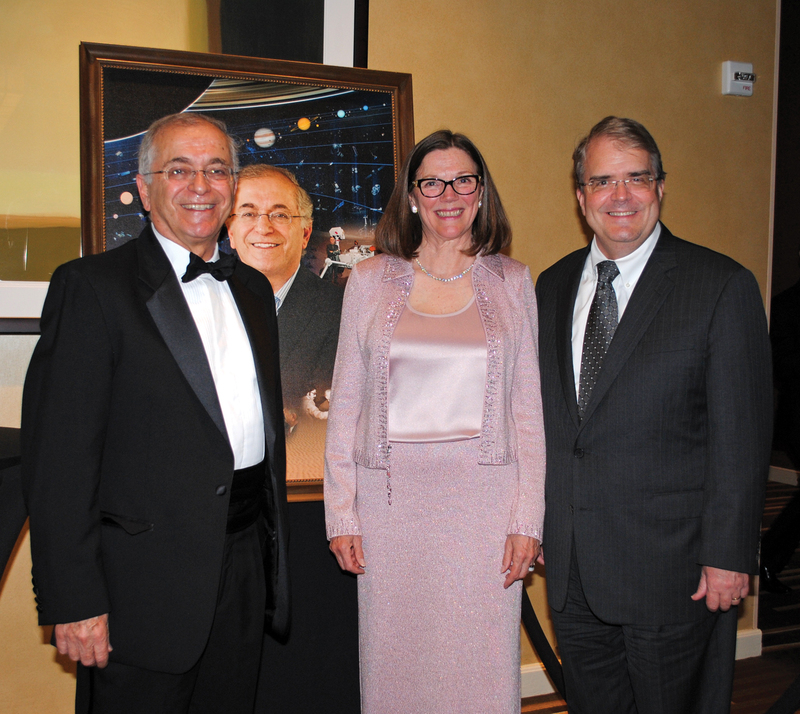 THE CRÈME de la crème of the space and business community was out in force as the Rotary National Space Award Foundation honored Dr. Charles Elachi, the long-time director of the Jet Propulsion Laboratory, which has given America so many thrills with its work on Mars and the robotic exploration of space. Most considered it quite an honor themselves to be on hand when he was presented the 2016 National Space Trophy at the 30th annual RNASA Space Awards Gala in the Downtown Hyatt Regency Hotel Ballroom for his 15 years as head of the NASA center on the west coast, overseeing the journeys of Mars Spirit, Phoenix, Opportunity and, of course, Rover. NASA Administrator Charles Bolden flew down from Washington to make the presentation, stopping to visit with former Space Trophy winners Mike Coats, Col. Eileen Collins, Michael Griffin, Glynn Lunney, Gen. Thomas Stafford, Tommy Holloway, Bill Gerstenmaier and Col. Robert Cabana as he made his way through the crowd. 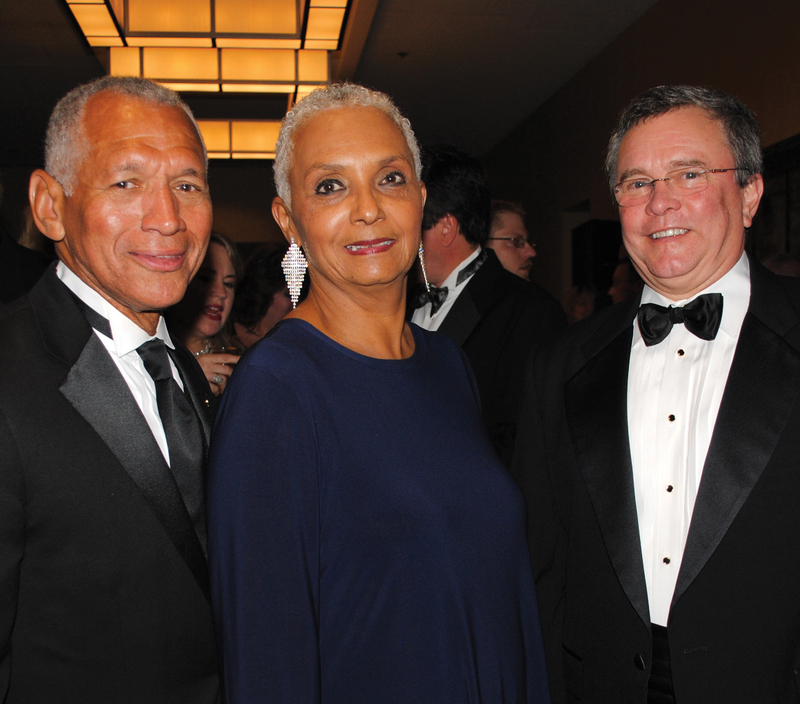 NASA Administrator Charles Bolden and his wife, Jackie, left, visit with Dr. Jeffrey Davis, JSC human health director, as they await the start of the Rotary Space Gala. Along with many top executives of the space industry – Glenn Center Director Dr. Janet Kavandi, new Space Center Houston CEO William Harris, Lon Miller of Jacobs, John Elbon of Boeing; Wanda Sigur of Lockheed Martin, Robbie McAfoos, Barrios Technology; Mike Bloomfield, Oceaneering; Dr. Harry Miller, Cimmaron; Genie Bopp and Jim Kukla, Wyle; Pete Cova, Rocketdyne; Jessica Jenson, SpaceX; Jorge Hernandez and Jayant Ramakrishnan, Bastion Technologies; Tim and Debbie Kropp, MRI Technologies; Sam and Dr. Charlise Gunderson, Blue Origin; David Cates, MEI Technologies; Mark Sirangelo, Sierra Nevada; and Frank Culbertson and Frank DeMauro, Orbital ATK – many with their spouses. 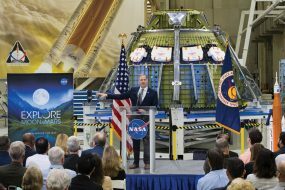 Just back from space, Scott Kelly joined a number of current and former astronauts in the celebration, including Johnson Space Center Director Dr. Ellen Ochoa, Capt. Dan Brandenstein, Rick Hieb, Rex Walheim, Clay Anderson, Dr. Joe Kerwin, Dr. Donald Pettit, Dr. Megan McArthur, Scott Altman, Dr. Karen Nygren, Col. Robert Behnken, Michael Fossum, Stephanie Wilson, Richard Mastracchio, Gregory Johnson and Col. Douglas Hurley and dozens of nominees for the Stellar Awards for the welcome by RNASA Chairman Rodolfo Gonzalez. Rotarians helping him welcome the massive crowd included President John Branch, President-elect Darryl Smith, Mike Hernandez, Scott Rainey, Dr. Jean Walker, Delia Stephens, Dr. Ted Cummings, Marilyn Musial, Dr. Vissett Sun, Bill Taylor, Kippy Caraway, George Atwater, Mike Porterfield, Gary Johnson, Bob Wren and Rich Jackson. 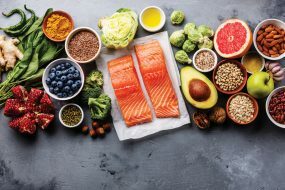 Others you might have spotted included Annette and Dr. Charles Stegemoeller, Jeff and Mengo Carr, Arnie and Eleanor Aldrich, Irene Chan, Bernard and Debbie Roan, Mark Carreau, Priscilla Ennis, Frank Perez, Joyce Abbey, Wendell and Pat Wilson, Neil Hutchison and Mark Craig. Carole Murphy, left, the 2016 Silver Tea honoree, arrives for the annual event at Bay Area Museum with her daughter, Pam Vining. LONG-TIME member and Past President of the Bay Area Museum Guild Carole Murphy was honored “for her dedicated service to Bay Area Museum” at the Guild’s 2016 Silver Tea. 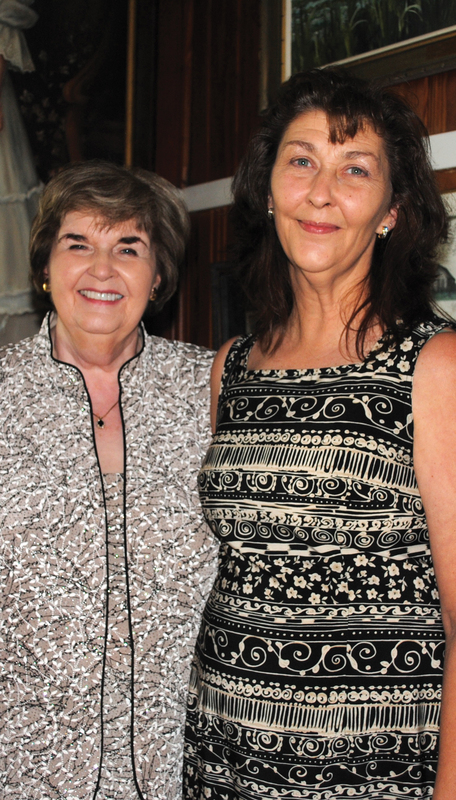 Carole, who came with her daughter, Pam Vining, is a former vice president of the Museum Guild and served as president two terms, from 2011 through 2013. She is also a former president of the Houston Symphony League Bay Area, and while president, brought the two organizations together for an evening each year for Music at the Museum, with the Symphony League providing the music. Silver Tea Chairmen Missy Rorrer, Susan Barton and Jana Miller were on hand to welcome the arriving crowd, which included the Lunar Rendezvous princesses and lieutenants and their parents, plus dozens of Museum Guild members and their spouses – all eager to sample the array of hors d’oeuvres and sweets stretched out before them. 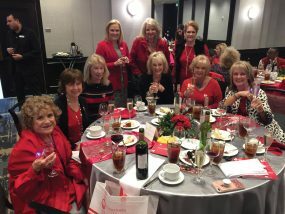 IT MAY BE Summer, but Bay Oaks Women’s Association officers are busy these days assisting President Jodi Schnabel in planning their fall schedule, which includes the annual gala, the holiday market, and fall fashion show. Among those lending a hand are Vice Presidents Karen Reed and Cindy Villareal, Secretary Chris Howland and Treasurer Allyson Jackson. Plus a number of committee chairmen — Angela Bivens, who’s overseeing the gala; Jennifer Simmons, who’s chairman of the holiday market; and Susan Franklin, communications. Other chairmen include Amy Roppola, registration; Sharon Dillard, membership chairman; Sue Broughton, advisor to the president; and Cindy Zook, hospitality chairman and historian.